Madison Manufacturing - Your Outsource Resource! Quality Contract Manufacturing since 1994. "At Madison, we do it right, to our client's satisfaction, on time, the first time." Madison Manufacturing is a contract manufacturer with its headquarters in Hamilton, in central New York, Our facility approximately 5,000 square feet. Madison Manufacturing has been supplying quality electro-mechanical and electronic assemblies, harness assemblies, cables and control chassis to commercial OEM's in the region for over 6 years. We have been cerified by Quality Management Systems, #50471064, and by BestCERD Quality Registrars, #11064. With a diligent and experienced staff, Madison Manufacturing has met the challenge of fulfilling the needs of electronics industry, as well as commercial companies. If your needs call for a quality contract manufacturer, consider us. You won't be disappointed. With the ability to meet a diverse range of customer requirements for quality, on time delivery and responsive action, Madison Manufacturing has proven itself in a very competitive market. Madison Manfacturing uses comprehensive, documented processes to ensure consistent quality. 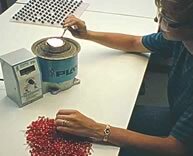 We have the expertise to handle a product's complete manufacturing from component purchase through final test, and can be responsive from prototype to production quantities. Contract Manufacturing is all we do. Since we do not manufacture a product of our own, all our efforts are directed toward satisfying customer product requirements. Experience has demanded that we not only maintain competitive pricing, and on-schedule deliveries, but also a flexible relationship. At Madison Manufacturing, we understand that customer service is the most important part of our business. Contact us for a no-obligation quote for your next project. We strive to be the single source for all your electronic assembly requirements.